Paul Young’s The Shack has sold 20 million copies, inspired a major motion picture, and generated a lot of spiritual reflection and conversation. Some have appreciated its depiction of faith and suffering. Others have been uncomfortable with its theological eccentricities. More than a few have used the “h word” to describe it (heresy). But the fact that The Shack (and Young’s other books) are novels has made it difficult to know exactly how to place them. 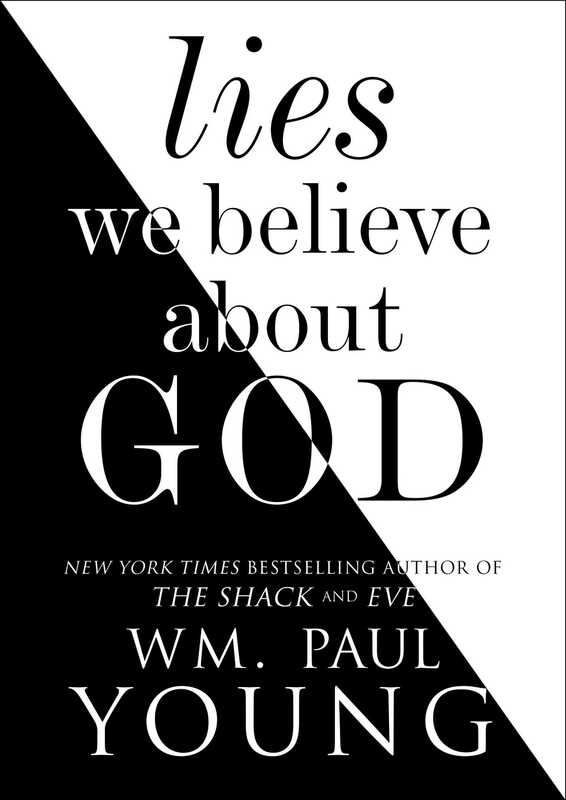 Now, with the publication of his first non-fiction work, Lies We Believe About God, Young gives a more propositional, concrete expression of his beliefs. Although this book casts itself as tentative and conversational (20–21), it definitely advocates theological positions, often quite energetically. Its 28 chapters are each devoted to exposing a “lie” we believe about God, and expounding the corresponding opposite truth. Unfortunately, the theology espoused in this book represents a wide and unambiguous deviation from orthodox Christian views. I mean no personal animus to the author in saying this, nor do I question his intentions. But the reason categories like “orthodoxy” and “heresy” arose in church history is because Christians have maintained there are right and wrong ways to think about God, and that pointing out the difference matters. When a book departs from historic, mainstream Christianity, it’s important to make the differences clear. While I cannot be exhaustive, I will focus on three troublesome aspects of the book’s teaching (regarding the gospel, humanity, and God), then one overarching concern about its method, then a concluding appeal. Has the Gospel Saved Everyone? Anticipating the charge of universalism, Young lays his cards on the table: “Are you suggesting that everyone is saved? That you believe in universal salvation? That is exactly what I am saying!” (118). Later he is equally explicit: “Every human being you meet . . . is a child of God” (206). Thus, hell isn’t separation from God, but simply the pain of resisting the salvation we have and can’t escape (137); and death doesn’t result in final judgment but simply introduces “a restorative process intended to free us to run into the arms of Love” (187). The theology espoused in this book represents a wide and unambiguous deviation from orthodox Christian views. Young doesn’t really provide argumentation for universalism, or even an organized account of what it entails (I’m curious whether he would, with Origen, affirm the salvation of all demons). But from piecing together various statements, it appears his universalism is grounded in a particular Christological vision. One expression of it is found in C. Baxter Kruger’s foreword, which Young endorses as “the foundation of what I propose as Truth” (20). Here Kruger, in an italicized abstract, basically sums up the gospel as the good news that the triune God and humanity have been united in the incarnate work of Jesus Christ. For this reason, he explains, “Paul and I regard the widespread notion that human beings are separated from God as the fundamental lie, one that denies Jesus’s very identity” (11). Attria Books (2017). 272 pp. $19.99. This particular species of Christological universalism—in which “the fundamental lie” is that human beings are separated from God—may fairly be regarded as the greatest theme of the book. It comes up repeatedly—in the foreword (11), the acknowledgements (251), the concluding catena of verses (241–48), the abstract from Bonhoeffer (249–50), and throughout “lies” such as “you need to get saved” (ch. 13), “not everyone is a child of God” (ch. 24), and “sin separates us from God” (ch. 27). What is at stake here isn’t merely universalism, but a particular vision of the gospel. For instance, when Young claims “Jesus did not come to build a bridge back to God or to offer the possibility of getting unseparated,” he grounds this assertion in his understanding of Christ’s work in which “there is ‘nothing’ outside of God . . . Jesus is actually and historically God fully joining us in our humanity” (232). But in the Bible, human beings aren’t universally and unconditionally included within the scope of Christ’s saving work, but rather urgently called to appropriate that work through faith and repentance. The Bible does not say, “Jesus came to save us—you can’t avoid it,” but rather, “Jesus came to save us—repent and believe” (cf. Acts 3:19). Regrettably, Young doesn’t really engage the biblical teaching that has led most Christians to reject universalism. One thinks, for example, of Jesus’s recurrent warnings about hell as a place of “weeping and gnashing of teeth” (Matt. 8:12; 13:42; 13:50; 22:13; 24:51; 25:30; and so on). In fact, the undiscerning reader of Young’s book may not even glean that universalism is a historically controversial issue, condemned (for instance) by the church in its Origenist formulation at the Fifth Ecumenical Council in Constantinople in AD 553. Does Sin Separate Us From God? There’s another reason Lies We Believe will discourage readers from repenting of their sin—it doesn’t believe we have much sin to repent of. “Yes,” Young admits, “we have crippled eyes, but not a core of ungoodness. We are true and right, but often ignorant and stupid. . . . Blind, not depraved, is our condition” (34–35). Young can speak of sin a kind of “missing the mark”—but the mark it misses isn’t God’s moral perfection, but rather “the Truth of your being” (229). He continues: “And what does the truth of your being look like? God. You are made in the image of God, and the truth of your being looks like God” (229). Thus, for Young, “sin” doesn’t separate us from God—indeed, “no one has ever been separated from God” (232). I sense part of Young’s motivation in affirming our humanity is to help victims of abuse and those with a damaged sense of self-worth (e.g., 29–31, 209–212). I wholeheartedly stand with him in affirming the dignity of every human being as an image-bearer of God, and I also want to see downtrodden people transformed by the tender, affectionate love of God. Our status as God’s image-bearers is not at odds with our status as sinful and needing salvation, and our sin does indeed separate us from God. But in the Bible, our status as God’s image-bearers is not at odds with our status as sinful and needing salvation, and our sin does indeed separate us from God. The prophet Isaiah can declare to God’s people in the Old Testament, for example: “Your iniquities have made a separation between you and your God, and your sins have hidden his face from you” (Isa. 59:2). In order to encounter God’s affection, we need to acknowledge our deep need for his forgiveness. Does God Have Any Expectations of Us? The God of Lies We Believe is fundamentally defined by a kind of love; he likes us, values us, affirms us, invites us into relationship, shows interest in us, and so forth. Many of these assertions can be affirmed, and indeed love is at the heart of the biblical portrayal of God. But the book gives the impression that God is only ever loving in this way, displacing other traditional divine attributes and diminishing God’s overall transcendence. Young disdains the idea that Jesus died on the cross to rescue us from God’s judgment (169, 239). He never speaks of God’s authority, but affirms that God submits to us (ch. 4). He won’t even allow that God has expectations of us—for Young, God only grieves for and with us when we act inside our darkness and lies; he “is never disappointed in you; God has no expectations from you” (214). God’s strength and sovereignty are also imperiled. For Young, it’s a lie that “the cross was God’s idea” (ch. 17); if God originated the cross, then he is a “cosmic abuser” who is “cruel and monstrous.” Again one wishes for engagement with biblical texts apparently at odds with this (for example, Isa. 53:10; Acts 2:23). If the cross wasn’t God’s idea, whose was it? Young contends it was only our doing, a manifestation of our “blind commitment to darkness” to which God submitted (149–53). But could God have prevented it? One is uncertain, since it’s a lie that “God is in control” (ch. 3). The god of Lies We Believe about God is not the majestic, unfettered King portrayed in the Bible. The god of Lies We Believe is not the majestic, unfettered King portrayed in the Bible. One isn’t sure if this god is omnipotent. How Do We Know What God is Like? Lewis’s quip has a ring of plausibility to it. Since culture is constantly changing, but God (so Christians profess) never changes, theology will never accord completely with our cultural intuitions. There will always be friction points between the truth and “the spirit of the age”; conceptualizing God will never be obvious and effortless within our natural capacities. I either know about the God I seek from my own experience and insights, from the meanings which I assign to history or nature—that is, from within myself—or I know about him based on his revelation of his own Word. Either I determine the place in which I will find God, or I allow God to determine the place where he will be found. If it is I who say where God will be, I will always find there a God who in some way corresponds to me, is agreeable to me, fits in with my nature. But if it is God who says where he will be, then that will truly be a place that at first is not agreeable to me at all, that does not fit so well with me. Bonhoeffer went on to argue that the true God is found through humbly receiving his revelation in the Bible, and looking in faith to the cross of Jesus Christ. This approach contrasts with Young, who argues that “to understand who God really is, you can begin by looking at yourself” (178, italics his). I side with Bonhoeffer’s approach over Young’s, and with the enigmatic, dreadful, enthralling God of creed and Scripture over the more moderate, agreeable, guessable god of modern Western intuition. This basic methodological difference touches on my overarching concern with Lies We Believe About God: It makes God too “agreeable” (Bonhoeffer) and too “guessable” (Lewis). Its ideas feel good; its instincts cohere with modern Western values; it rubs against historic Christian beliefs in generally all the ways our cultural ethos does. Who in our setting won’t like a God who saves everyone, affirms our essential goodness, and expects nothing of us? Amazing grace! How sweet the sound that saved a wretch like me! To sing this, you have to acknowledge you’re a wretch. Yet Young is adamant we aren’t wretches (ch. 2). Indeed, he even objects to the contemporary song that begins, “You are good, you are good, when there’s nothing good in me” (32). The true gospel is better than this. It’s better news that God does have expectations of us (this is called righteousness, or God’s law); that we are separated from him (this is called sin); that Jesus did die as a sacrifice (atonement); that we are called to receive Jesus (conversion). It’s better because it means we can change. We’re not stuck with ourselves. A god who merely affirms us can’t call us to die, and be born to new life. But the true God can say, “Turn to me and be saved, all the ends of the earth! For I am God, and there is no other” (Isa. 45:22). What Does God Have against Your Church?